Car tax discs are set to be axed after 93 years. The traditional paper tax discs will be replaced with an electronic system from October 2014 with monthly direct debit options. Chancellor George Osbourne announced in his Autumn Statement vehicle excise duty is to be replaced with an electronic system. Excise duty applying specifically to motor vehicles was introduced with the Roads Act 1920. 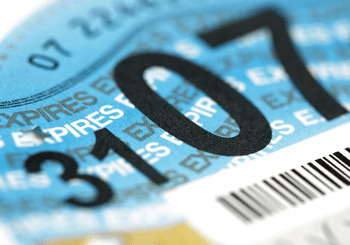 The tax disc was introduced in 1921 but it is no longer really required as the DVLA and police are increasingly relying on an electronic register. Everyday use of paper is decreasing as more of us are opting to buy, sell and donate online. Using the internet is just a lot more convenient to many people, so it is likely the tax disc will not be missed by many. With the new system motorists will be able to pay for their vehicle excise duty by monthly direct debit, making it even more convenient. This will allow drivers to spread the payments although there will be a 5% increase in costs. The change to online processing is believed to save business an estimated £7m a year in administrative costs. If drivers are not online they will be able to tax their car in person at the post office or by phone. The Treasury said it showed the government was moving "into the modern age". It would also make "dealing with government more hassle free", a spokesman added. Alongside the benefits of the new paperless tax disc concept, it has been noted that buying a used car could potentially be made more difficult by it not being visually obvious when tax is due on a vehicle.